He’s the reigning champion and the No. 1-ranked golfer in the world, so it’s fitting that Dustin Johnson is the No. 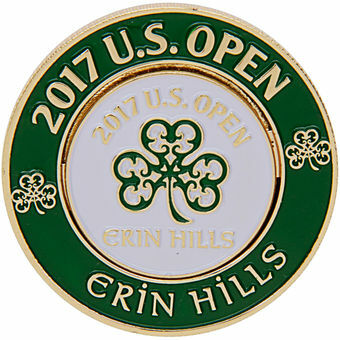 1 favorite on the 2017 US Open odds list. Johnson is +750 at press time, ahead of No. 2-ranked Rory McIlory at +1200 and two golfers tied at +1400: No. 3 Jason Day and No. 5 Jordan Spieth. The opening round is Thursday at Erin Hills in Erin, Wisconsin. Johnson is the reigning PGA Player of the Year, but he hasn’t been quite the same since suffering a back injury in early April and withdrawing from the Masters. He returned with promise, tying for second at the Wells Fargo Championship, then finished out of the Top 10 at both the Players Championship and the Byron Nelson before missing the cut at the Memorial. McIlory, the 2011 US Open winner, has yet to pick up a win on either the PGA or European Tours this year, but he has placed in the Top 10 in five of his seven tournaments thus far. Day came in second at the Byron Nelson; Spieth, who won the US Open during his magical 2015 campaign, has been wildly inconsistent ever since.